Every part-year resident, during the period of residency, has the same filing requirements as a resident. 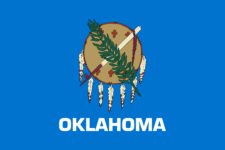 During the period of nonresidency, an Oklahoma return is also required if the Oklahoma part-year resident has gross income from Oklahoma sources of $1,000 or more. Every nonresident with Oklahoma source gross income of $1,000 or more is required to file an Oklahoma income tax return. Never forget to file OK 511NR again.